Can you imagine not being able to fully use your body’s joints like those in your hands, wrists, elbows, shoulders, hips, and knees? You will be a totally different person from who you are now – physically active, vibrant, and always on the go. Injuries to your joints will restrict your activities, slow you down or stop you completely on your tracks. Your life will never be the same again. What are the common causes of injuries to the joints? Arthritis of the hand and elbow – This condition is often the result of osteoarthritis. It affects the fingers, especially. Arthritis of the thumb – This is a form of osteoarthritis affecting the joint of the thumb. Bursitis – This is the inflammation of the bursa in a synovial joint. 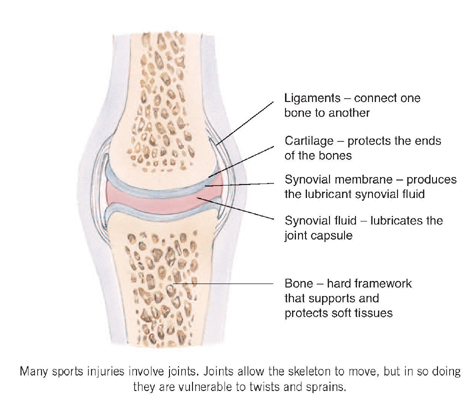 Bursa contains the synovial fluid. Carpal instability – The broad range of movement and frequent use combined with weak muscular attachment between the wrist bones cause the unstable environment in the wrist. Wrist synovitis – This is the inflammation of the synovial membrane that lines the joints in the wrist. Wrist synovitis is the result of rheumatoid arthritis. Distal radial ulnar joint injury – This is a stress to the distal radial ulnar joint that results from a fracture or an activity. The treatment options for injured joints may be conservative or surgical. But before any treatment is prescribed, the doctor will perform a physical examination and range of motion tests to assess the patient’s pain level and look for any evidence of deformity. X-ray test for the joints follow. This will determine the loss of joint space, if any, and distinguish whether the patient has osteoarthritis or rheumatoid arthritis. Additional imaging studies like magnetic resonance imaging, computed tomography and bone density test are used not only to assess the bone condition but the overall condition of the joint and the surrounding areas. In addition, blood test is done to check for infection or arthritis. Preventing the unnecessary degeneration of your joints is something you can influence and do something about. Seek proper treatment of joint injuries. This can prevent the onset of arthritis as well as other degenerative conditions in the injured joint. Use the proper techniques involving the use of the joints in working, playing and performing tasks. They can prevent unnecessary injuries that could result to degenerative conditions. Avoid repetitive tasks or activities that tend to cause stress and inflammation to the joints. Maintain the right body weight for your frame to avoid undue stress to your weight-bearing joints. Always have a nutritious diet that will promote the health of your bones, joints, and muscles. Love your joints. Proper care of your joints will prevent joint injuries that will stop you from your normal active and dynamic lifestyle. Joints are the areas in your body where two bones come together so the function of movement can be done. The most prominent joint areas are those in your elbows, shoulders, wrists, hips and knees. A dislocated joint is a condition where the bones are not in their normal positions. It is difficult to distinguish between dislocated joints and broken bone. Both are considered emergency cases and should be given same immediate first aid treatment. The patient should be brought with dispatch to a hospital emergency room or to a doctor’s office. In the treatment room, the injured person may be given drugs to numb the injured area. In some cases, general anesthesia may be given. An early treatment for most dislocations will not cause permanent injury. Six to twelve weeks is usually the time it takes the injuries to the tissues to heal. There are cases needing surgery to repair ligament that tear when joint dislocation occurs. More serious cases of dislocations involving injuries to the blood vessels and nerves may take a more long-term treatment and care and may even create permanent problems. Sudden strong impact to the joint as in a fall, blow, or other trauma is the usual cause of joint dislocations. Call emergency service before you start treating a patient with a possible dislocated joint condition. This is especially important if the accident the patient was involved in is life-threatening. For a person with serious injury, check the breathing and circulation. If necessary, initiate rescue breathing, cardio pulmonary resuscitation (CPR) or bleeding control. Do not move the person if you think there is injury to the head, back or leg. Give the person reassurance. If you see broken skin, rinse the area gently to clean it of any dirt, Do not scrub or probe the wound. Dress the area with sterile gauze. Immobilize the injured joint, by using splint or sling, in the original position you found it. Next, immobilize the area directly above and below the injury. Check the blood circulation around the person’s injured area. Press firmly on the skin in the affected area. The skin should turn white then regain normal color within two seconds after you stop pressing on it. Do not perform this step if the skin is broken to avoid risk of infection. To ease the pain and swelling on the injury, apply ice pack wrapped in a clean cloth. Except for situation where there is head, back or leg injury, lay the person flat and elevate the feet about a foot high. Cover the person with a blanket or coat. The moments immediately after an accident and the time full medical care is given to a victim is very crucial. By following these first aid steps, you can hope for a greater chance of recovery for the injured person. The joints in your body such as those of the hands, shoulders, hips, knees and foot help you to move. Imagine yourself having these joints in your body unable to provide you their normal function of movement like bending your elbows, knees and back and wiggling your hips. You will then realize how important these joints are. The most common joints condition is osteoarthritis, which is caused by damage to the cartilage, the smooth tissue that covers the end of the bones in a joint. The cartilage facilitates the movement of the bones of the joints as they glide over each other and also cushions the impact of movements. Aging, injury, improper posture and even being overweight can hasten the wear and tear in the cartilages in your joints that can lead to osteoarthritis. Osteoarthritis results to pain, swelling and restriction of the range of motion in your joints. Keeping your joints healthy will require that you make them strong and stable together with the bones, muscles, ligaments that they work in conjunction with. Follow these simple and practical tips. Many overweight and obese people have joint problems because part or all of their weight is borne by their joints in the knees, hips and back. Extra weight puts more stress in these joints and causes them to wear faster. Do regular exercise for healthy joints. Physical exercise will help you control your weight to a healthy level. Studies have also shown that aerobic exercise can reduce swelling aside from improving your cardiac capability. If joint problems bother you, you can opt for low-impact exercise like swimming. In your exercise routines, include those that will strengthen your abs, chest and back muscles. This will result to better balance and prevent falls that can be dangerous to your joints. Build muscles that support joints. Get into weight training exercises to help build and strengthen muscles that support your joints especially in your the spine, hips, and knees. These joints support your body weight and take a pounding when you move. Stronger muscles will avoid your joints to do all the work. Perform only exercises and work that your joints can take. Refrain from overdoing physical activities that can bring pain and injury to your joints. Good muscle-building pain a day after exercise is normal but there are serious pains that can be damaging to your joints. Bad posture like slouching is not good for your joints. Stand and sit straight to take care of your joints from your neck to your knees. Sitting for long periods of time can increase the risk for joint pain. Having a sedentary lifestyle leads to more stiffness in your joints. Use safety gears to protect your joints. Always wear protective gears like helmet, elbow pads, wrist pads and knee pads when playing sports especially high-risk ones. A single accident may cause injuries to your joints that may keep you out of action for a long time. Eat right for healthy joints. 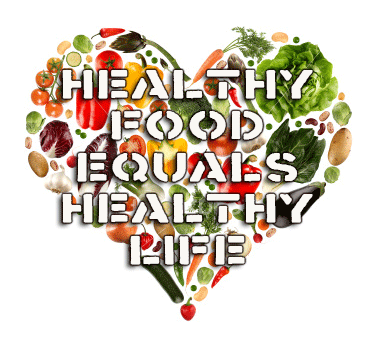 Healthy diets are good for the health of your bones, muscles and joints. Get enough calcium and vitamin D for your bones. Foods such as milk, yogurt, kale, broccoli, figs, and fortified foods like almond milk and soy milk are good sources of calcium. Examples of vitamin D rich foods are dairy products, cereals, and fortified foods like soy milk and almond milk. Protein is good for your muscles. Good sources of protein are lean meat, beans, seafood, legumes, nuts and soy products. Vitamin C and other antioxidants have been found to help keep your joints in good shape. Take good care of your joints to keep them healthy and continually providing their important functions in your body. Western medicine or conventional medicine as we know it, defines health as the absence of a dysfunction or disease. It usually uses drugs or surgery in the treatment of such dysfunctions or diseases. In the conventional medicine, the causes of the dysfunctions and diseases are considered as independent factors such as viruses or bacterias, aging, and biochemical imbalances. Other healthcare approaches and healing therapies outside the conventional medicine are what are called complementary and alternative medicine (CAM). They are various methods adopted from different parts of the world notably China, India, Africa Tibet and the Americas. 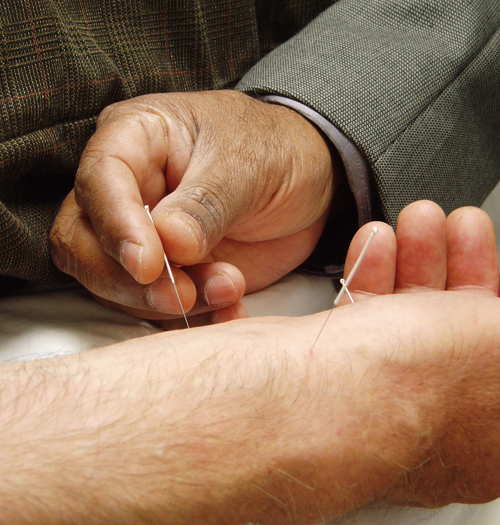 Many of the treatment and healing techniques used in the complementary and alternative medicine are rooted in ancient indigenous systems and practices. While some of the practices have been generally accepted in mainstream medicine and have been included among the services offered in hospitals, some are not supported. The use of all appropriate therapeutic methods, including conventional and alternative medicine is described as integrative medicine. CAM practices that are used in conjunction with conventional medicine are generally considered complementary medicine while those that are used on their own are called alternative medicine. Examples of CAM treatments include chiropractic treatment, acupuncture, herbal medicine, yoga, therapeutic diets, massage, meditation and homeopathy. What differentiates alternative medicine from conventional medicine is the basic philosophy it upholds. Its practices define health holistically, or as a balance of physical, emotional and spiritual systems in a person. The cause of illness then is believed to come from the disharmony among these systems. The treatment methods used by alternative medicine involve restoring the balance in the body and strengthening the body’s own defenses. Patients also go for alternative medicine when they have serious life-challenging illnesses such as cancers, especially when conventional medicine treatment methods have been tried to no avail. The acceptance of alternative medicine is growing dramatically. In 1997, 629 million visits of Americans to alternative medicine practitioners were recorded, a 47% increase over the visits recorded 7 years earlier. The visits to medical practitioners on the same year were only 386 million. A more recent figure in 2007 showed that 38% of adult Americans used alternative medicine treatment methods. The effectiveness and safety provided by alternative therapies are a major consideration in the decision by patients on which heath care method to choose. 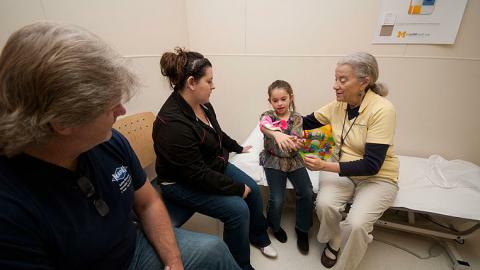 Some therapies have been determined to be effective and safe in treating specific conditions. Examples are chiropractic adjustments to relieve back pains and other spinal symptoms, acupuncture and meditation for pain management, yoga to improve balance and herbal tea for wellness improvement. It is the successes in these areas that contribute to the acceptance of certain alternative medicine treatment options. Learn how important and good for the body lycopene is, the component that is not only good for the heart, but good for over-all health, as well! We have all heard how a variety of tomato products in the supermarket have been advertised as containing that cancer-fighting agent lycopene. 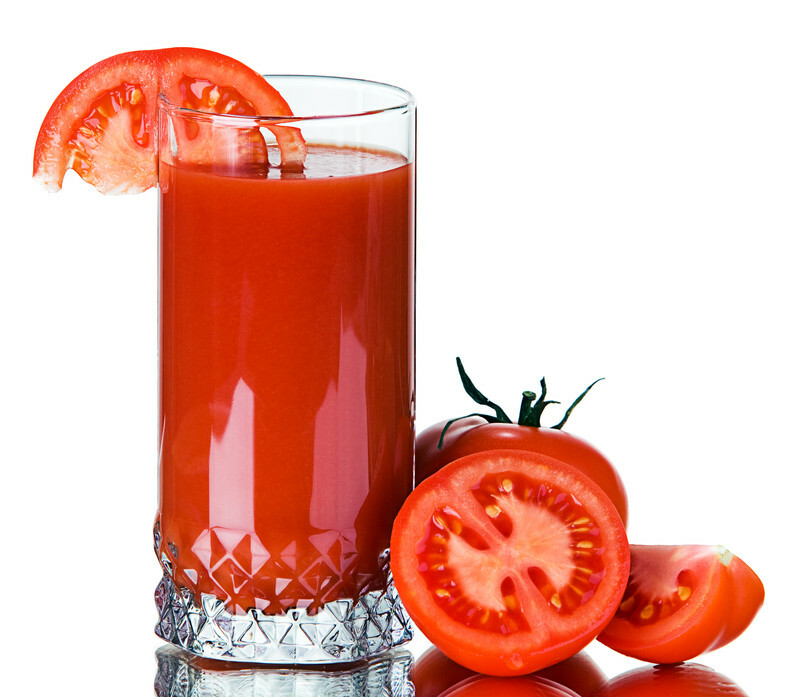 Lycopene is the pigment responsible for giving fruits and vegetables their attractive reddish color. But more than adding color to your food, lycopene has been discovered to have anti-oxidant properties. This means that lycopene, when consumed by humans, can aid in keeping the body’s immune system healthy and, thus, reduce the risk of cardiovascular ailments, prevent the development of cancer cells in the body, as well as protect the body from a host of other diseases. Recent researches in Harvard University, including that of the Journal of the National Cancer Institute, have in fact revealed that lycopene reduced the risk of prostate cancer in men by 30 to 35% and that those who registered high lycopene content in their body fat were less likely to suffer a heart attack. Lycopene can be found mostly in tomatoes, watermelon, red cabbages, pink grapefruit, and pomelo. As a basic rule, the redder the fruit, the richer it is with lycopene. And what comes as a surprise to many researches is that lycopene is best absorbed by the body when taken in from processed tomato products such as tomato paste, pasta sauces, tomato juice, and ketchup. This means that getting your daily dose of this nutritious anti-oxidant lycopene is as easy as dipping that chicken in ketchup and eating that spaghetti or pizza! So when making pasta choices, tomato-based sauces remain your best healthy bet. Moreover, when deciding for your drink, take a second look and consider that refreshing tomato juice, watermelon shake, or freshly extracted pink grapefruit or pomelo juice instead of your usual soda. Think twice in choosing your dessert, remembering well that a bowl of fresh fruits with watermelon slices is so much better for your health than that cheesecake. Eating healthy need not be boring and need not be as excruciating as chewing on that spinach or brussel sprouts. When it comes to lycopene, you just have to love it. You might want to think twice before reaching for that greasy fried chicken for dinner! Consider what you have eaten the whole day. Did your body get all the needed protein, vitamins, and minerals? Eating healthy is not a secret. Just make sure that your body gets a variety of foods like grains, nuts, meat, vegetables, fruits, legumes, seafood and poultry. Drink tons of water and minimize your intake of alcohol, sugar, salt, and saturated fat. Then, follow these nine tips for healthier eating habits and you’re on your way to a healthy lifestyle! Start the day with a healthy breakfast. After hours of sleep, your stomach will be empty. Breakfast will provide energy for you to start your day right and last throughout the day. Variety is a key. Your body needs more than 40 different nutrients to stay healthy. So make sure you have several options for meals and snacks. Eat moderately. Eat only reasonable portions of food. Know when you’re already full or when you have eaten enough. Eat meals regularly. This is tricky. Skipping meals can lead you to over-eating on your next meal. So when you’re hungry, simply grab a bite. Avoid unhealthy foods. Eating can be both for pleasure and nutrition. If you enjoy eating “unhealthy”, do so, but in moderate amounts. You need not entirely eliminate foods high in fat, salt, or sugar; just be sure that they won’t be a big part of your diet. Eat healthy snacks. A great way to refuel would be to eat snacks. But choose snacks from different food groups like apples, milk, graham crackers, celery or carrot sticks, raisins, dry cereals, cookies, and bread. Snacks from fast foods like French fries and burgers are not very healthy, so you may want to stay away from them. Check out the labels. Before putting that jar of cream sauce or that bar of chocolate on your grocery shopping cart, read the labels first. 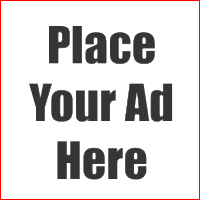 Compare nutrition value and the ingredients among different brands and products. This way, you would buy those that contain less fat and more nutrients. Do not rush. Eating healthy is not an overnight success. Being too hasty in changing your eating habit can actually get in the way of success. If you love too much sugar or salt, slowly minimize the amount you are taking in. If you don’t like the taste of skim milk, try low-fat first and then slowly integrate skim milk into your diet. Drink lots of water. Of course, the most basic yet most important tip that you have to consider is water consumption. Water can give you that satiated feeling and eliminate toxins from the body. Remember though that one can not be entirely healthy by healthy eating alone. Have enough sleep, exercise regularly, and minimize, if not entirely avoid, smoking and alcohol consumption. Quality over quantity is what matters in your sleep. Your body may need six to eight hours of sleep nightly. You may be able to fulfill this number of hours of sleep and yet wake up feeling tired and drained. Your sleeping hours should be restful and relaxing to let you get the vitality and efficiency you will need for the day upon waking up. Here are a few simple and practical tips to get the best from your sleep. Go with your body’s natural rhythms. Keep a regular sleep schedule of going to bed and waking up at the same time each and every day. Consistency in your sleep-wake will lead your body to a healthy pattern of work and rest and a sets your body’s internal clock to an optimized program. Studies show that just an hour or two of shift in your sleep time can negatively affect the quality of your sleep even if you spend the same amount of time sleeping. It is strongly advised that you strive to stick to your established regular sleeping and waking time even if you have extra hours to spend in bed like during weekends. When it is sleep time for you, make sure the room is dark. Lights trick your mind to think that it is waking time still and will not be induced to sleep. Avoid sources of bright lights like television, computer screen, and smart phone. If you need a light, like if you have to go to the bathroom anytime after you sleep, do not switch on your main light. Use a dim light or flashlight or the light from the bathroom. Doing regular exercise in the daytime can enhance your sleep every night. The more vigorous the exercise is, the better quality sleep you will have. Do it hours before you go to bed. If for example exercising three hours before bedtime keeps your mind alert and awake for a longer time before falling to sleep, adjust your exercise earlier. Studies show that it may take your body up to six hours to settle and cool down to a state more conducive for sleep. If you are unable to perform a routine exercise, walking 10 minutes a day will be more beneficial in getting quality sleep compared to being inactive or worse, sedentary during the day. Avoid coffee, alcohol, too much food and water just before you go to sleep. The caffeine in coffee will stimulate your mind and keep you awake longer than you desire. While the effect of alcohol may put you to sleep faster, it will disrupt your normal sleeping pattern. Big meals at night especially when it is fatty will make your digestive system work harder and may keep you up. Also, spicy and acidic foods may cause stomach trouble at night. Drinking too much water or liquid before sleeping will let you wake up for the urinal often and disrupt your sleep. Relax and clear your mind of stress. Stress, worry, negative feelings like anger and bitterness may keep you awake all night if you do not put them away from your thoughts before going to bed. Instead of harboring these feelings and negative thoughts, make restful sleep your goal every night. Relax and think of more positive things that will lull you to sleep. By learning how to manage your activities, your time and your thoughts effectively, you can have every night a better quality sleep – restful, calm and productive. It is never enough to know the proper practices that will keep us asleep during the night. Do you know that the food we eat before we go to sleep also affects our sleeping habits? Know the right food to consume for that right and restful sleep! There is nothing like a good night’s sleep to help rejuvenate your body, de-stress your system, regain your strength, and clear your thoughts. Getting that eight hours of sleep, however, may be virtually impossible for those afflicted with insomnia and irregular sleep patterns. Wait, do not pop that pill just yet! Eating the right kind of food and getting proper nutrition before bedtime may just help you get that nice and cozy slumber your body requires. Carbohydrates, when taken two to three hours before bedtime, can help ensure a restful sleep. For example, a filling dinner of rice, pasta dish, a slice of butter-coated bread, or cake will help send you off to a deep relaxing snooze. Drinking a cup of chamomile tea is also a good way to relax. This will help soothe and slow down your system, preparing you for that much needed sleep. Of course, the old well-known technique of drinking a warm glass of milk sweetened slightly with honey is a tried and tested antidote for sleepless nights. While taking in the right kind of food before bedtime effectively contributes to a sound sleep, avoiding the wrong kinds of food is important just as much. Inappropriately dubbed as a nightcap, alcohol will not give you a good night’s sleep; much less prepare you for the day ahead. Introducing toxins in our system will only keep our body busy for hours trying to flush it out, thus leaving us exhausted during the night. And who could forget the fact that an excessive intake of alcohol can only leave us with a hangover the following day? Moreover, wait until morning before getting that perk with coffee. Drinking coffee, as well as smoking, which is another stimulant, will likely cause restive and broken sleep that will disturb your sleep pattern. An apple will not put you to sleep either. This is a misconception that children have been taught in fairy tales. The truth is, apples and apple juice can keep us alert and awake for longer periods of time. Give your body the sleep it requires to heal and revive. This treat need not be difficult or stressful. It is just a matter of taking in the right amount of the right kind of food. You have more than 600 muscles in your body. These muscles are important in helping you move, walk, run, jump, work and play. These activities are made possible through the actions of your voluntary muscles, which are muscles you can control the movement of. Your involuntary muscles or muscles you cannot control the movement of, are just as important. Your heart and muscles in your digestive system are examples of involuntary muscles. The heart pumps blood and beats day and night, non-stop. The muscles in your stomach and intestines help digest the food you eat. Healthy muscles allow you to perform various important activities and keep your body strong. Strong muscles also aid in developing healthy joints, which help prevent knee injury and help you keep your balance. Protein – Proteins make up the bulk of your muscle tissue. The protein from the food you eat supplies the material needed by this tissue to remodel and replenish muscle cells between workout periods. Particularly, amino acids, the building blocks of protein, must be present in the protein-packed food you eat. Good sources of amino acids are milk products, meat, eggs, poultry and seafood. Plant-based foods are not as good a source of amino acids as animal protein sources. Only by eating a variety of plant-based products that have amino acids can you get all the amino acids your body needs. Carbohydrates – These nutrients provide your body with energy source or fuel you need for your physical activities. Eating a limited amount of food with carbohydrates before a physical exercise will give you energy. On the other hand, consuming carbohydrate together with protein after the exercise can help in muscle building. Whole grain products, fruits, vegetables and milk products are good sources of carbs. Fats – Healthy fats bring benefits to both your skeletal muscles and heart. Unsaturated fats help in maintaining fluidity and integrity of your muscle tissue’s cell membranes. They can improve communication between muscle cells and muscle recovery. Fats provide a reserve fuel source when you run low on carbohydrates, allowing you to work your muscles for a longer time. Some sources of unsaturated fats are those in olive oil, fish oils, canola oil, peanut oil, soybean oil, flaxseed and walnuts. Iron – This mineral keeps muscle tissues oxygenated, making you capable of sustained physical activities. Beef and dark poultry can provide good supplies of iron. Vitamin C – Foods rich in vitamin C improves absorption of non-animal sources of iron. Calcium – Dairy products like cheese provide good source of calcium, which helps in the proper contraction of your muscles. Sodium – Sodium from foods such as celery and crackers can bring the same benefits to your muscles as calcium. The health of your muscles is largely dependent on proper nutrition. Coupled with proper physical exercise, consumption of foods that are good for your muscles will bring amazing results not just to your muscles but to your overall health.